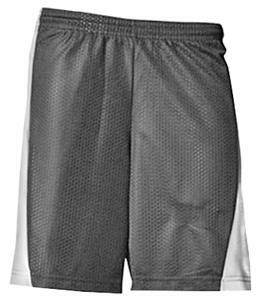 A4 Womens Basketball 7" Mesh/Dazzle Shorts - Closeout. 100% Polyester 70 Denier tricot mesh main body. 100% Polyester dazzle inset. Top Selling Item. SHORTS & PANTS (WAIST) 25" - 26" 26" - 27" 27" - 28" 28" - 29" 29" - 30" 30" - 31"